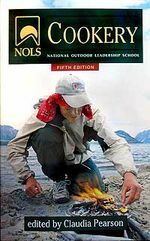 Emily McGalliard, mother of Semester in Baja grad Elena, snagged her daughter’s copy of the NOLS Cookery during a recent camping weekend with friends and made a few changes to some classic NOLS field grub.She took the Rice in Nut Curry Sauce recipe and made it a one-pot meal with a more distinctive Thai taste by using red curry, powdered coconut milk, and instant mashed potatoes as a thickener. The recipe adds up to a tasty and filling dinner with the protein and carbohydrates you need to hike the trail all day. Thanks, Emily!